Representation of Samuels & Associates in the development of multiple mixed-use projects involving retail, multifamily, office and tech/innovation elements. The firm has worked with this client to develop more than one-and-a-half million sq. ft. of new mixed-use development in the iconic Fenway neighborhood of Boston. 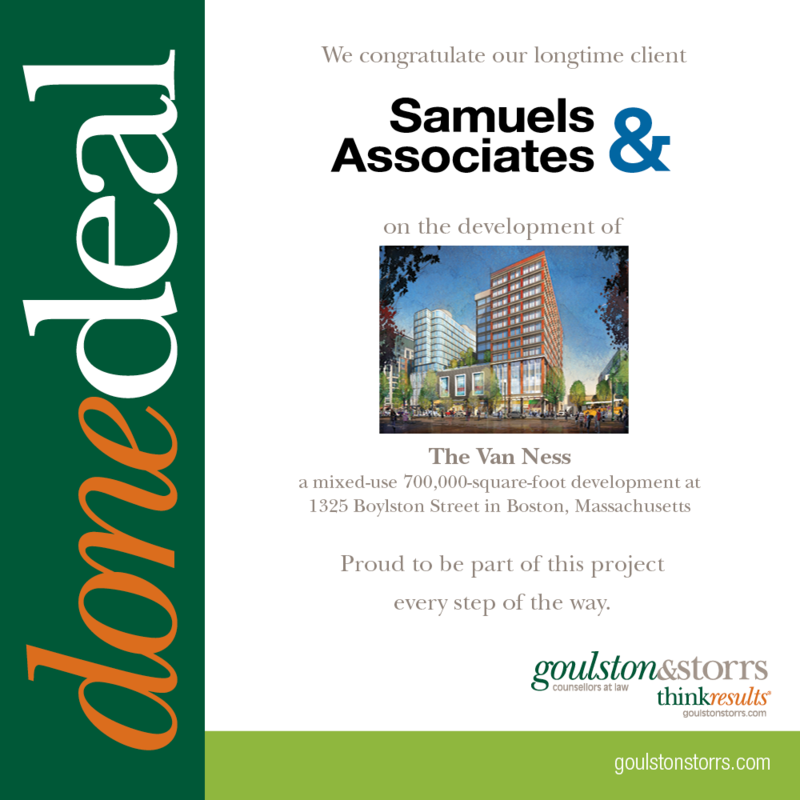 The firm handles all of the permitting, zoning and land use, real estate structuring, development, and leasing for Samuels’ Fenway developments.